Nowadays losing your mobile phone is not such an uncommon thing. You must have heard friends or colleagues forget his or her phone in a hotel, taxi, garden, park. and when he or she goes to pick up their phone, the mobile phone was not there where they left it. Now what to do if your mobile phone is stolen. In many countries like UK, there is mobile phone database, which can prevent lost or stolen mobile phones from being used on any mobile network, thus these stolen mobile phones are worthless to anyone. This system exactly works like a stolen credit card, whenever you loose your credit card, you simply make a phone call to your requisite bank to deactivate your credit card. Similar is the case with mobile phones, you call your service provider and give them a specific number to deactivate your stolen mobile phone. This system applies to both prepay and postpaid packages. Every mobile in this world has a unique code called as International mobile equipment identity (IMEI Number). This is a unique serial number of every smart phone. If you provide this serial number to your network operator, they will deactivate your stolen mobile phone. No one can use your mobile phone even if the person who has stolen your mobile, insert new sim in the mobile. This mobile will be useless for all networks or service providers. All mobile network operators will deactivate or disable the phone by reference to the unique IMEI nomber of the mobile phone. A 15 digit code will appear on the screen after pressing send button, or in some phones it comes automatically just by writing * # 0 6 #. So whenever you buy a mobile phone, get this code from the battery or simply write above code on your phone and get IMEI number. Remember your mobile phone is very valuable for you. You may have very important data stored in it. So take care of your mobile phones. 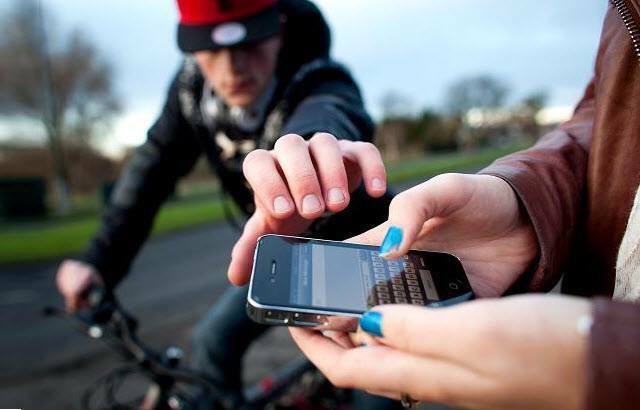 Don’t use your mobile in crowded areas or where you might feel unsafe. Govenment is trying to encourage mobile phone companies to give more options for improving mobile phone security. So remember this simple code * # 0 6 #. Tell all your friends and colleagues to get IMEI number with the help of this code. If all of us simply follow this tip of making mobile secure, believe me no one will try to steal anyone’s mobile phone.